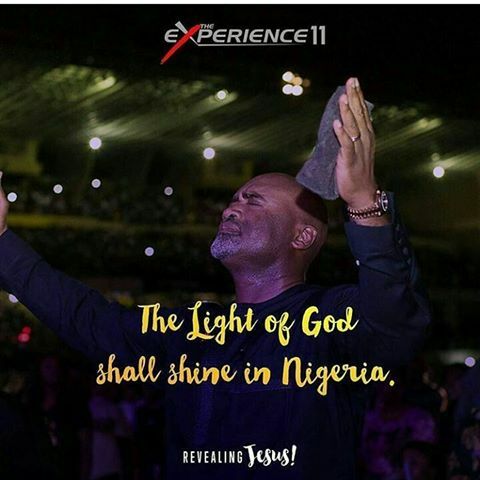 So yesterday I had the opportunity of attending the experience, #TE11, the theme of this year’s concert was REVEALING JESUS. I didn’t even know I would be able to attend, but as the week drew to an end, I just told myself I couldn’t leave Lagos without attending the experience. The last time I attended was in 2009 when I was a corper, I travelled all the way from Benin to Lagos to attend the concert. With the outline of artists that would be ministering, I just knew I had to attend. I left my house at 3:30pm, though I had earlier planned to leave by 2pm because I didn’t want any traffic. Luckily for me, I got a straight bus to CMS, from there, I joined a bus going to the #TE11. Coincidently, almost every one of us in the bus was heading to Tafawa Balewa Square (the venue for the concert). Now the TBS has a sitting capacity of 58,000 seats and the square was filled to capacity, in fact, a lot of people had to stand because the seats were not enough. The square was filled to capacity; people were as sand everywhere, in fact, people had to sit on the fence. With the crowd I saw there, I know that there’s hope for Nigeria. I love the enthusiasm of the youths I saw there. 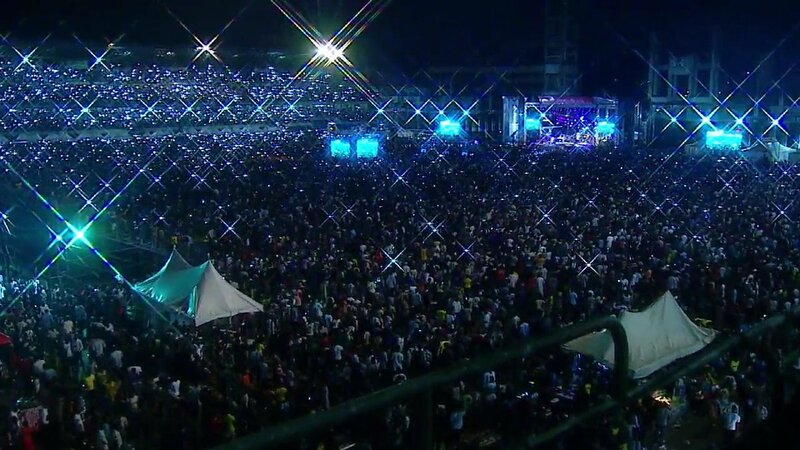 For such a crowd of young people to turn up for a gospel concert, means that there’s hope for the future of this country. 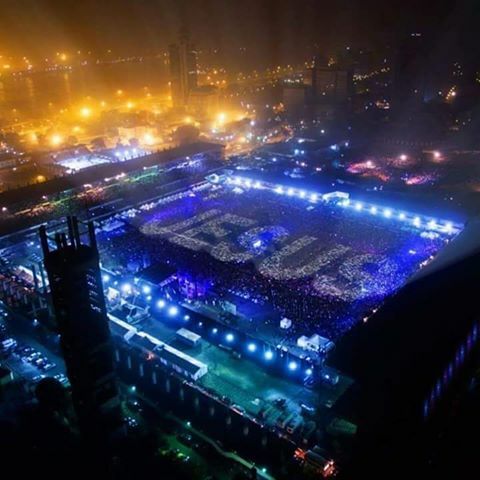 The #TE11 was a huge success, it was awesome. All the artists brought their A game. From the beginning to the end, the program was on point. The concert started with a jazz performance and we were all shocked that the drummer was a young boy, at a young age; the dude is very good. 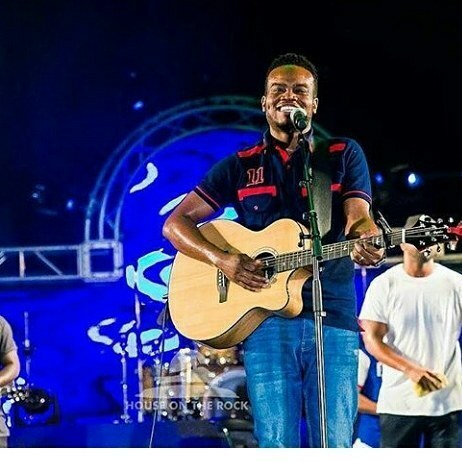 For me, the ministers I particularly enjoyed are Tim Godfrey, chai he and his band were amazing. I really loved his performance, as usual, his songs always have an edge to them and he didn’t fail to deliver. 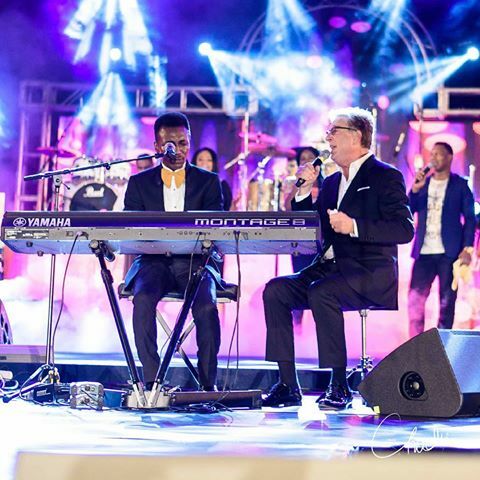 Then I loved the duet by Frank Edwards and Don Moen. 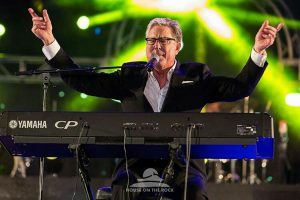 It was shocking to see Don Moen sing expertly in Igbo. Prior to this event, I had never heard of Eno Michael, but mehn I have being missing. She’s an amazing singer and worshipper. She really knows how to singgggg. 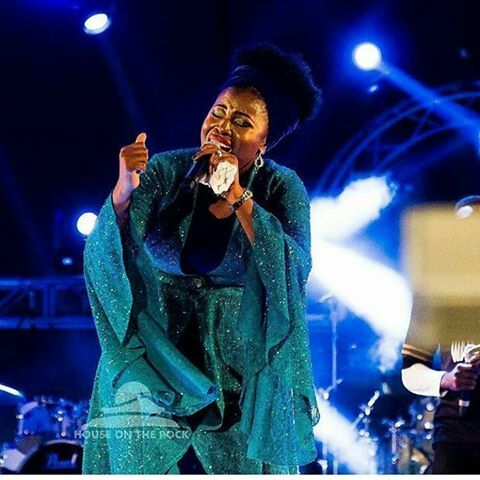 I was really blessed by her ministration; in fact after the concert, I had to Google her and download her songs. 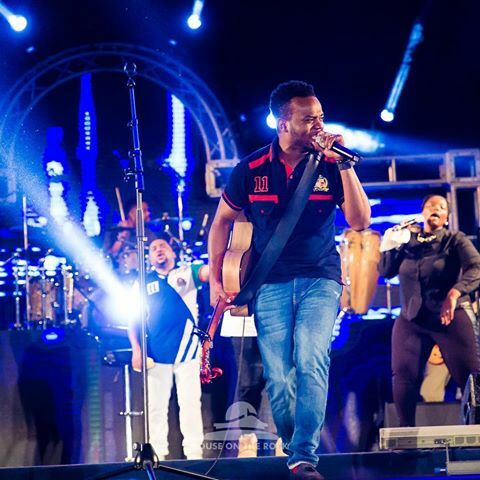 Then, Micah Stampley, that man can sinnggggg, his pitch is on another level. I believe Micah loves Nigeria; he showed up in an African Attire and was singing Onise Iyanu like he wrote it. You guys won’t believe the guy that sat beside me didn’t know Micah Stampley isn’t a Nigerian. He said all the while, he thought Micah was a Nigerian, lol. I think we need to give Micah a Nigerian name, preferably Yoruba (hehe hehe). 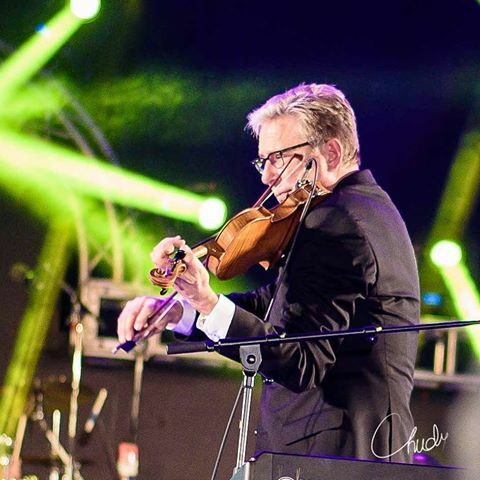 Baba Don Moen was also on point, his ministration was a huge blessing. 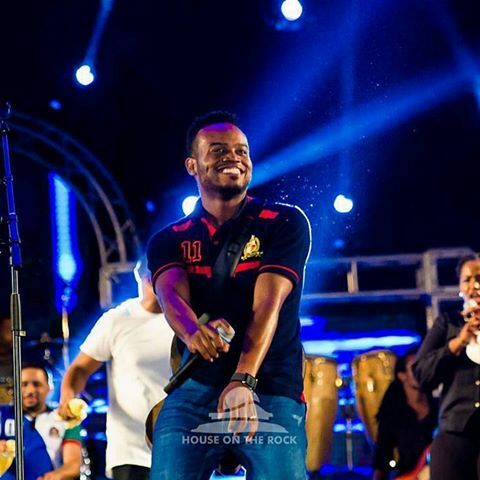 As for Travis Greene, I’m short of words to describe his ministration, as soon as he came on stage, the screams and shouts were deafening. We helped him sing his songs like we all co-wrote them, lol. He was a huge blessing; his performance was for me the best of the night. He’s testimony was mind blowing, how he died at age 4 but God brought him back to life. 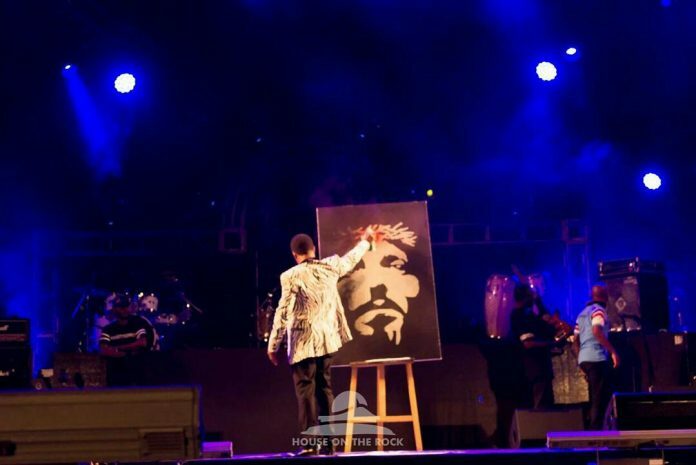 By the way, at the beginning of the concert, there was an amazing drawing of Jesus, it was spectacular. His name is ICE; I particularly loved the fact that; as he was drawing he was praying. He’s incredibly talented. I’ve never seen a more mgical moment like that, watching the drawing and wehn he was through. He did the drawing in less than 10minutes. Jesus was indeed revealed. Then the rendition of the National anthem by Chee and Onos was amazing, the rendition of You raise me up by Nwando, Gloreeyah, Donnie and Micah Stampley was out of this world, first class music and performance. 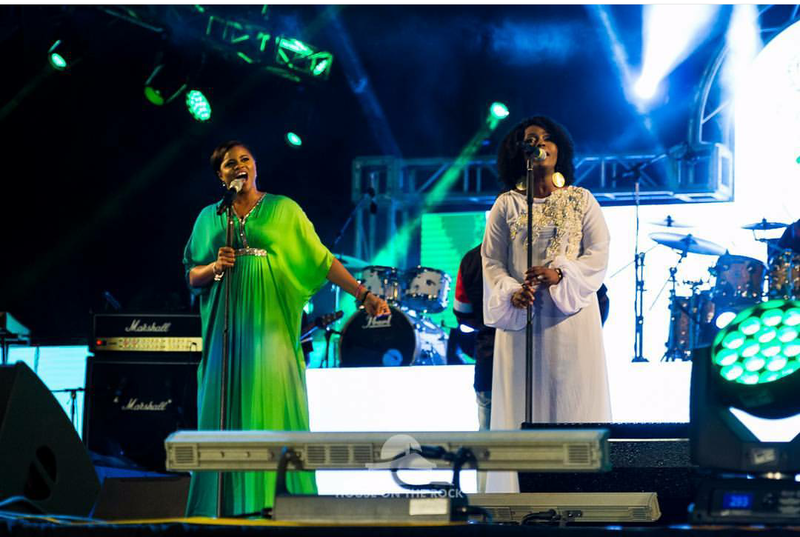 I loved the fact that Cece Winans, Donnie, Smokie Norful and Travis Greene took to the stage together, backing up for each other. I love that unity; shows humility. It was really surprising seeing Donnie backup for Travis Greene. I love that. 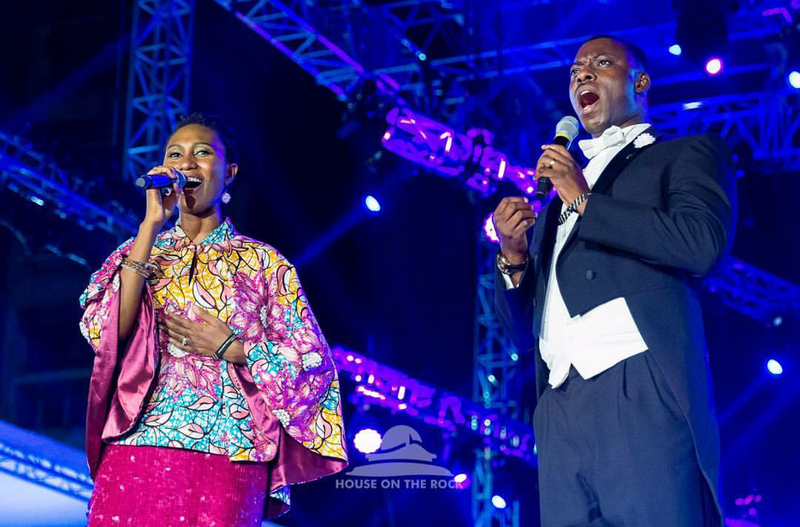 Then the Song – the Prayer sung by Donnie and Yolanda Adams was beautifully and skillfully rendered by the duo of Julius Nglass and Ranti. Their performance gave me chills. One truly magical moment that had chills running through my body was during Donnie’s performance. He was singing Imela by Nathaniel Bassey and he asked us put on our phones torches, look into heaven and sing the song. 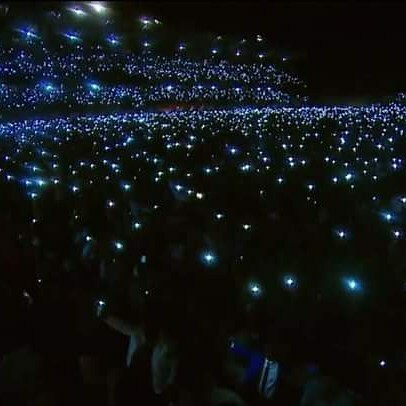 It was very beautiful, lighting up the whole place with our light. God was indeed reaveled. 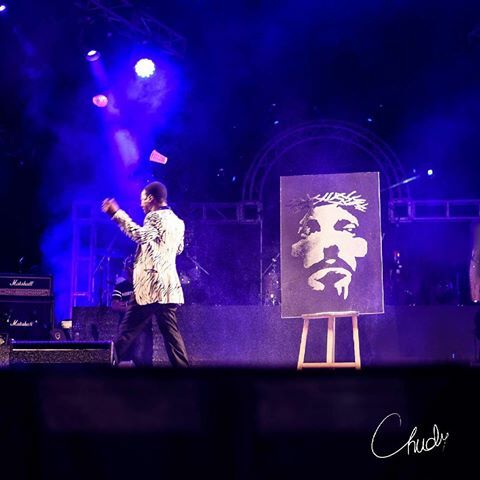 Lest I forget, I liked the fact that many ministers of God came for the concert, I love that. The body of Christ is one and we need to support one another; after all we all have a common goal. I really appreciate Pastor Paul and the HOTR family for this program. They spend a lot of money bringing Christians together under one platform to Worship God. May God bless them. 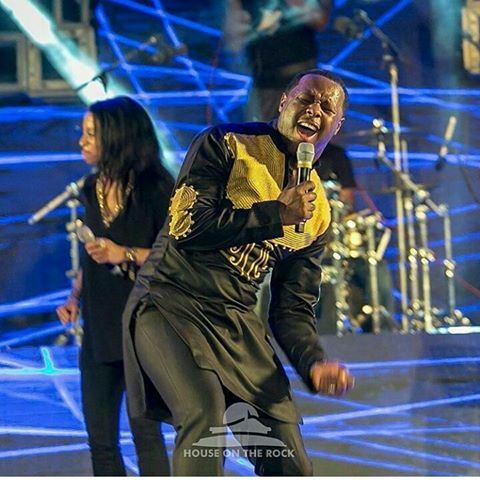 Before I go, let me leave you with the video of You Raise me up by Donnie McClurkin, Micah Stampley, Glowreeyah Braimah and Nwando Omosebi at The Experience 2016. Did you attend the concert? If you did, kindly leave your observations about the concert in the comment section. 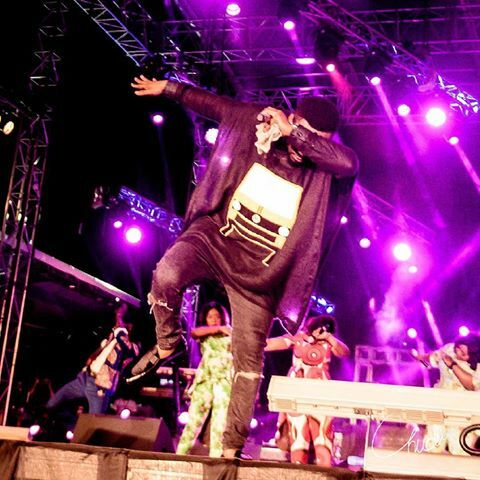 Which part of the concert did you enjoy the most? And if you didn’t; well you missed. Thank you for reading; God bless you. OMG I've never attended this program but I sure know it's a huge blessing. The experience is sha on my list of programs to attend in this life. 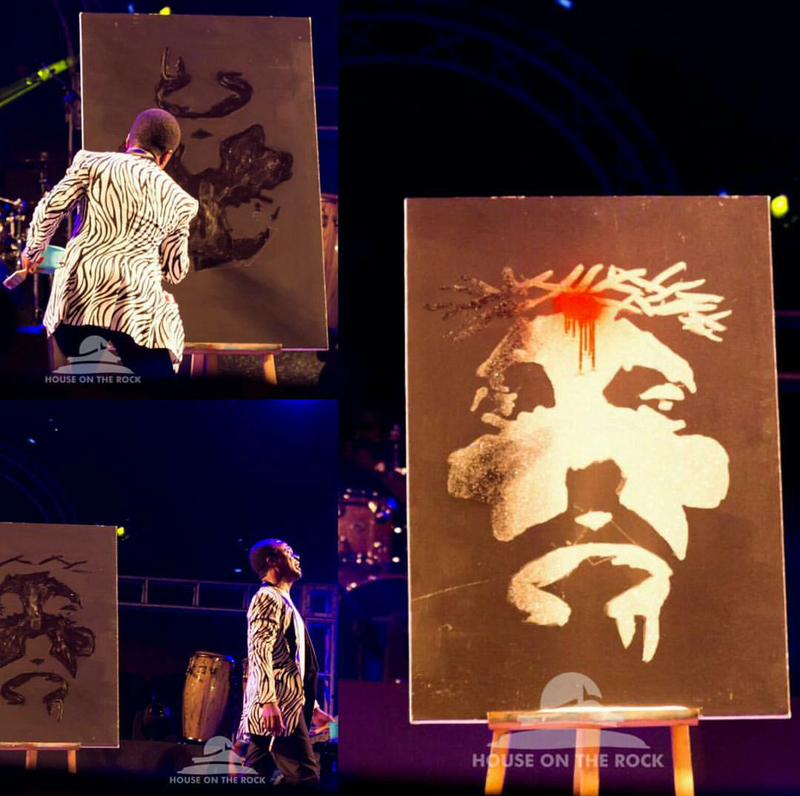 God bless pastor Paul adefarasin for this awesome cfor this concert. I pray I attend one day.